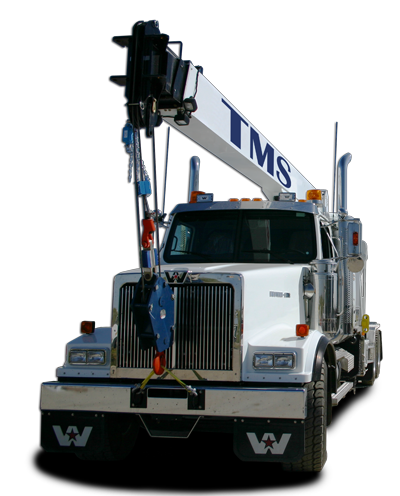 TMS Trucking provides complete Tubular Management and transportation services to the oil and gas industry. Our Other services include Material handling and management of third party products. We also provide general oilfield hauling and picker work. We are independent, customer driven company that prides itself on individualized customer service and well trained personnel. Our pipe yard is centrally located along Highway 2 corridor to ensure prompt and cost effective transportation to your well site or facility. We also carry all the major down hole equipment suppliers in our yard for your convenient one call ordering. Our team is comprised of experienced personnel and office staff to ensure your OCTG order is filled properly and your products are transported safely and securely. TMS Trucking has their Certificate of Recognition and subscribe to ISN networld as well as complyworks (HSE Registry).